I vividly recall the Wills World Cup in 1996, when the everlasting image of a teary-eyed Vinod Kambli made the headlines. India had just succumbed to Sri Lanka in the semifinals. The media fanned the flames of public ire by incessantly replaying the moment and conducting a post-mortem of the Indian team’s exit. The fact that India was the host nation of the World Cup only seemed to add insult to injury. 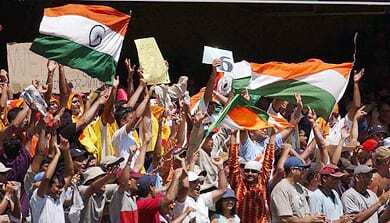 However, not much has changed, and 15 years on, we experience a sense of deja-vu everytime India loses a match. Displeasure and dissatisfaction stemming from within the team and public emotions brew for a long time, till victory seems to balance things out again. ‘Do we, as an audience, really enjoy the game?’ is a question, that makes ripples far and wide, in the pool of national emotions. In my childhood, I wondered why spectators in some countries applauded even seemingly unimportant milestone reached by opponents. 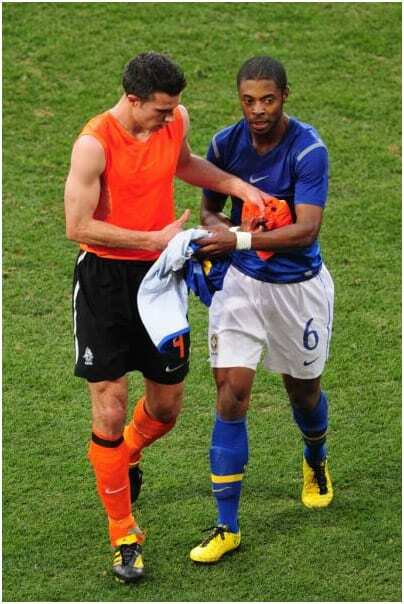 Why footballers exchanged their jerseys after the culmination of a hard-fought match and why captains praised the strength of the opposition team almost perpetually, irrespective of how badly outplayed they were. I recall a match in the 1998 Triangular series in Sharjah, between India and Australia. The match, popularly known as the desert-storm match, is embedded in our hearts for a single reason-Sachin Ramesh Tendulkar. The little master not only hit a match saving century, but displayed the importance of sportsman-spirit, when he started walking to the pavilion even though the umpire had ruled him not out. Similar instances have been observed with cricketers like Adam Gilchrist. Sadly though, the numbers are dwindling. Even when we win, we fail to appreciate the opponent’s effort. Most of the times we often get carried away praising the display of own players and miss out a valid point- ‘constructive feedback’. A sense of complacency predominates, as we witness the negligence of the past turning into the greatest threat of the present. P.S : The above mentioned lines solely reflect my opinions and may differ from individuals. Correction(if any) are welcome.